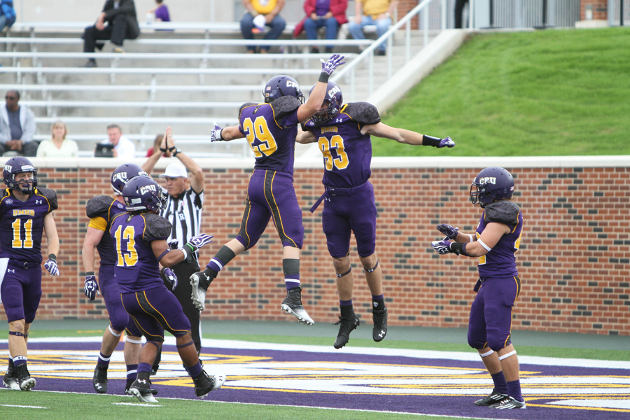 Belton, Texas – The 2014 University of Mary Hardin-Baylor football team has been highly ranked in another preseason publication. The Cru is picked second in the country in the USA Today Sports 2014 College Football Preview Magazine. UMHB was picked second by USA Today, trailing only defending national champion Wisconsin-Whitewater. The Warhawks were the pick to repeat as national champions. Mount Union (OH) was picked third by the publication, Wesley (DE) College is picked fourth and Bethel (MN) College rounds out the top five. USA Today only selects a preseason Top 10 and the second five ranked includes: Linfield (OR) College, North Central (IL), St. Thomas (MN), Heidelberg (OH) and Hampden-Sydney (VA). USA Today does not name a preseason All-American Team. The magazine’s Top 10 Poll and accompanying article was compiled and written by Pat Coleman, the managing editor of the D3sports.com web sites. The Cru went 13-1 overall and won the ASC Championship with a 6-0 league mark in 2013. UMHB advanced to the Semifinals of the NCAA Division III National Championships before falling 16-15 to Wisconsin-Whitewater. The Cru was ranked #2 in the country by D3football.com last season and was #3 in the nation in the final American Football Coaches’ Association Top 25 Poll.